Baby boys sky blue & white poly cotton christening cap, perfect for complimenting your little boys christening outfit. This poly cotton sky blue & white hat is of a baker style cap. 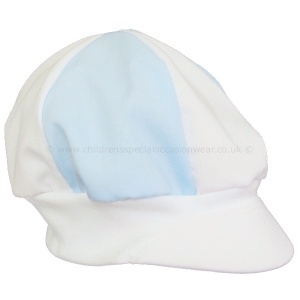 It is fully lined with a soft peak at the front and has coordinating white and sky blue sections around the cap.